Please visit our Open House at 212 123 1ST ST W in North Vancouver. Down size the right way in Lower Lonsdale! This very bright corner plan has the perfect layout throughout it’s 1220 sqft, with 2 large bedrooms, 2 baths, den/office and a private 1000 sqft terrace with south views. Featuring a gourmet kitchen, 5 burner gas range, wine fridge, large island, walk-in closets, and Seamless high quality laminate flooring throughout. 2 parking, 1 large storage, pets and rentals allowed. Rooftop lounge, patio and gardening for those green thumbs. 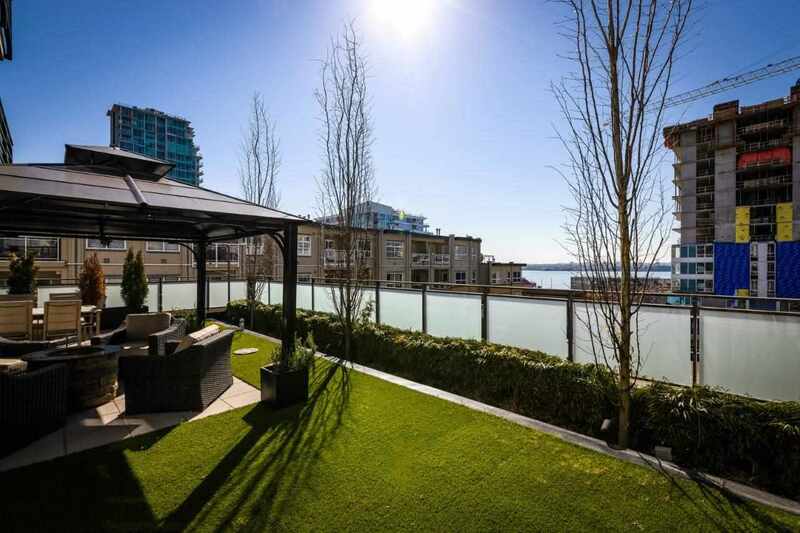 All this located on the most desirable street in Lower Lonsdale, walk to restaurants, cafes, Lonsdale Quay, Shipyards Night Market and public transportation, seabus to downtown and the airport. Don’t miss out as units like this don’t come around very often. Open Tuesday 10-12 & Sat/Sun 2-4.